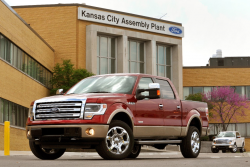 Ford recalls 26,000 more Transit vans at risk of fires due to corrosion of trailer tow modules. May 2, 2018 — Ford is expanding a 2015-2017 Ford Transit van recall to fix trailer tow module problems that have caused two van fires in Canada. 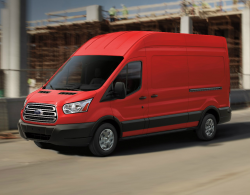 Ford originally recalled more than 73,000 Transit vans in October 2017 after engineers determined the trailer tow modules were being damaged by water entering the connectors and modules. The resulting corrosion causes a driver to lose heating and air conditioning controls, instrument panel display, radio, all multimedia functions and the turn signals malfunction. But the real issue is an electrical short that may cause a fire, even if the van is turned off and parked. 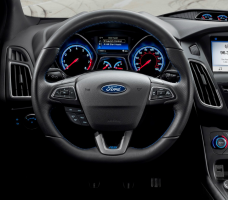 In addition, Ford says an electrical short-circuit will cause the seat belt pretensioners to activate without warning. Although two van fires have been reported in Canada, the automaker says no crashes or injuries have been recorded. The expanded recall adds 26,000 vans to now include more than 90,000 Transits recalled in the U.S. and more than 9,000 called back to dealers in Canada. Ford says the latest recall was issued because previous errors occurred in identifying which vans had the tow module problems. The 2015-2017 Transit vans were built in Kansas City between February 3, 2014, and August 2, 2017. 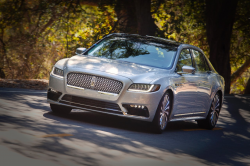 To prevent electrical shorts and fires, Ford dealers will add drainage holes to the driver-side stepwells and add fuses into the wiring harnesses. The recall will begin in May 2018, but Transit owners with questions should call 866-436-7332 and ask about recall number 17S34. Read complaints sent to CarComplaints.com about 2015, 2016 and 2017 Ford Transit vans.